Journalists no longer have to be hooked to a huge live truck to go live. 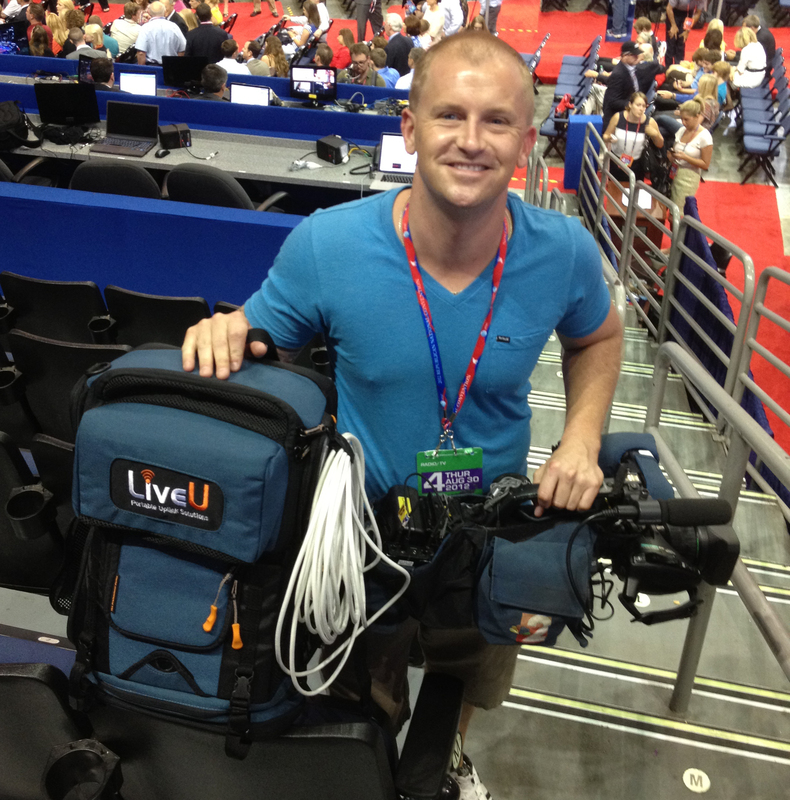 At the 2012 Republication National Convention, it was common to see journalists, especially TV journalists using LIVEU packs to go live instead. The packs use cell phone connections to transmit Hi-Def signals. READ MORE about how one photographer/editor used the LIVEU for both live shots and to feed stories back to the station and read his warning to journalists who are thinking about using these devices.